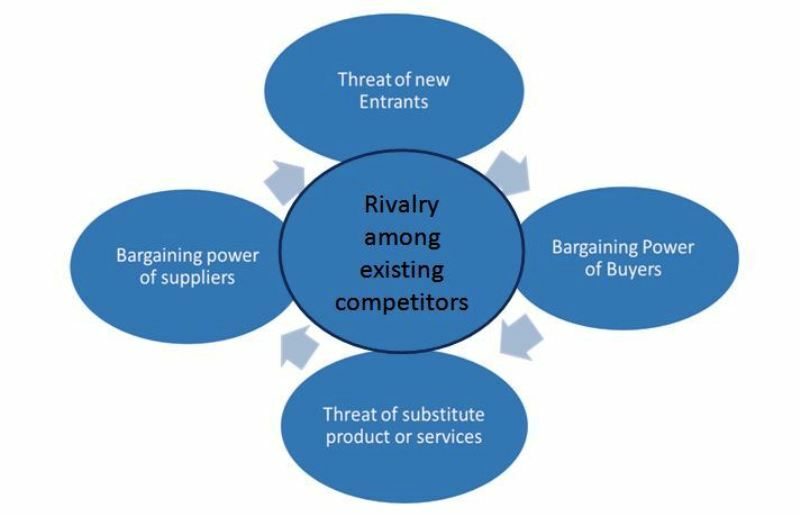 Porter’s Five Forces Model or competitive forces model was developed by Michael Porter with the motive to analyze the external business environment of the industry. It explains whether or not we should enter an industry, and if we enter it, what are the challenges we need to face. ‘Competition’ is something which determines the success or failure of a company in the corporate world. Everyone knows that there will be other players who might be ready to give a competition to the other businesses. This is where; this model is used to understand the picture of the industry when there is huge competition. According to Michael Porter, each industry is influenced by five factors that he mentioned as forces. The power of Porter’s five forces determines the ultimate profit potential of the business in the marketplace. How can we use Porter’s Five Forces? Five Forces model helps industries to determine the various factors affecting profitability and strategies. Further, it helps in making decisions relating to whether to enter a specific industry; whether to increase size in a specific industry; should develop competitive strategies; and what are the questions need to consider before entering the industry. In addition, this model should be used where there are at least three competitors in the market and avoid using it for an individual firm.